We specialize in offering a wide range of MCB Distribution Board to our clients, which is well known for the high performance and easy to install. Our range of MCB (Miniature Circuit Breaker) protects any electrical circuit against unexpected overload or short circuit. 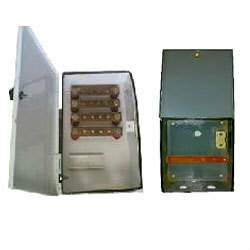 We also provide an exclusive range of DB (Distribution Board) to our clients that employ latest technology to provide reliable operation and safety. 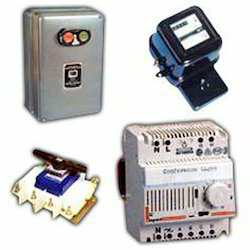 We provide an exclusive range of Electrical Switchgears to our clients at industry leading prices. 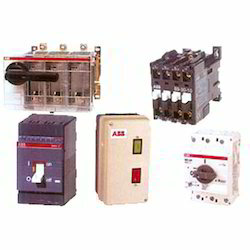 These are provided with inbuilt assembly of switching and interrupting devices, along with control, metering, protecting and regulating equipment. Our range is used to de-energize equipment, to allow work to be done and to clear electrical faults downstream. These are sourced from reputed vendors such as Legrand, ABB, Havells, and Indo Asian. 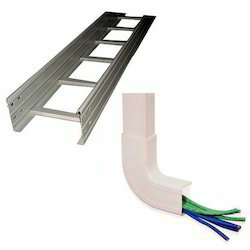 Since our inception, we are engaged in offering a superior range of Cable Tray & Raceway to our clients. These are extensively used in telecom connections. A cable tray system securely fastens and supports cables and raceways and hence plays crucial role in safe transport of wires and cables across open areas. Our range is available in various lengths and diameters, which can be customized as per the requirement of our clients. Backed by our in-depth industry expertise, we provide a superior range of Electrical Material, which is fabricated using optimum quality raw materials. Our range finds huge demand in the various sectors for durability, corrosion resistance and extreme heat tolerance. Furthermore,w e have developed a wide supply chain network to meet the bulk demand of our clients within a given timeline. Looking for Electrical Products ?